UNI-CABLES,Brand owned by a group company of WUMEE,which now has four factories in China. 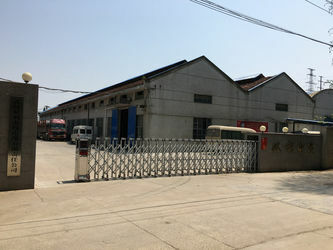 Wuhan Unique Electric Wire and Cable Co.,Ltd,Guangdong Unique Cable Co.,Ltd, Guangxi Unique Aluminum Co.,Ltd, Wuhan Unique No.2 Factory. 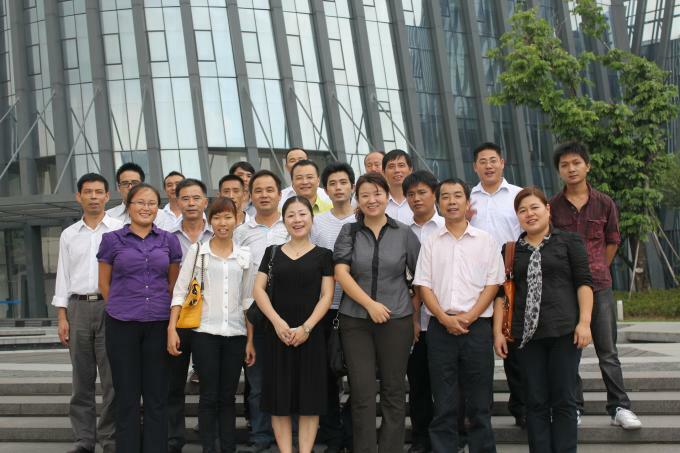 Group company set up in the year of 2001 by the event of Headquarter Wuhan Shuangli set its branch in Guangdong. 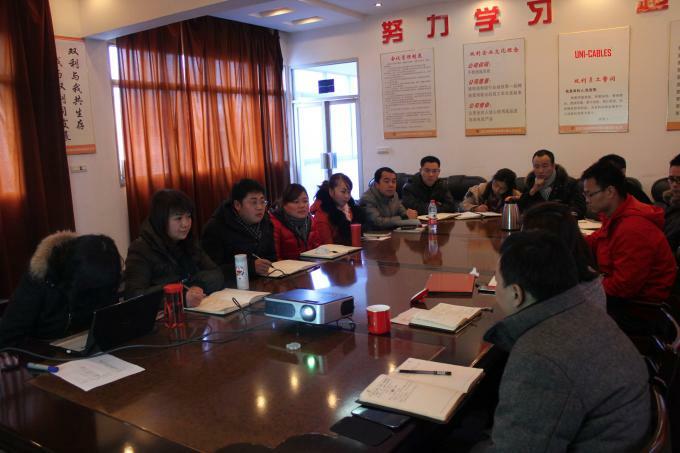 In the year of 2008, the third branch Guangxi Shuangli put into use. 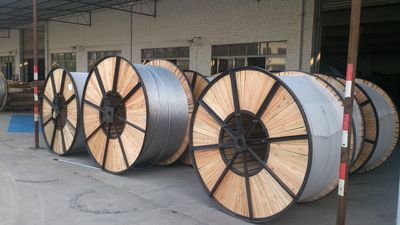 Two years later, the second production base in Wuhan finished its construction and successfully produced its first reel of cable. 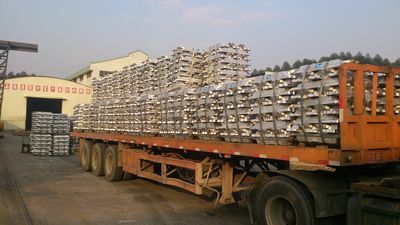 After 30 years development,ShuangliCable became one of the leading 5 manufactures of Aluminum Cable in China, and rank No.1 among south China. 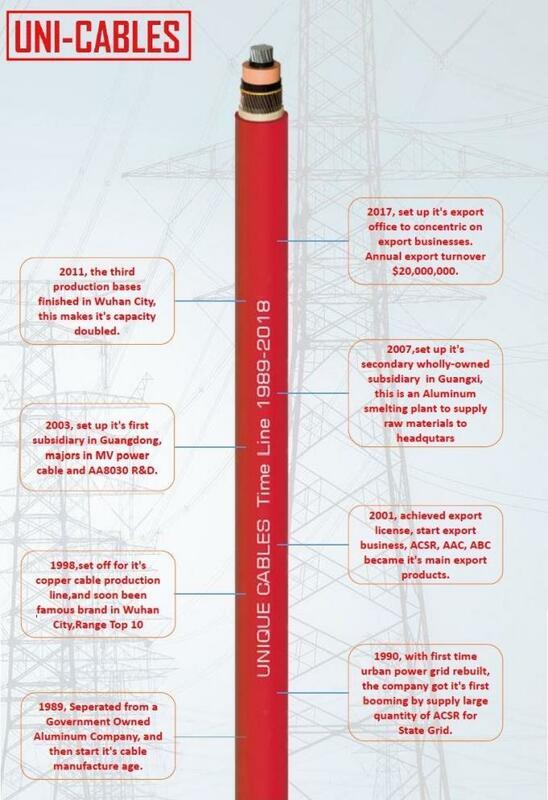 UNI-Cables, acts as an important role in energy and power distribution in whole China since established in 1988. 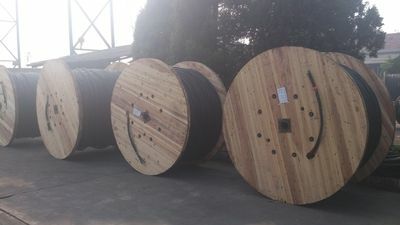 In beging years, UNI-Cables majors in high voltage and extra high voltage power transmission,city power distribution, street lights power supply, rural electricity network and such government projects. In recent years, Unique Cables developed it's residential wires,now we can see more and more cable with mark UNI-CABLES in buildings, squres,hospitals, schools, farms, factories, and so on. Shuanglicable starts its international business since the year of 2002, rich experience will help you find the best solutions of power distribution. 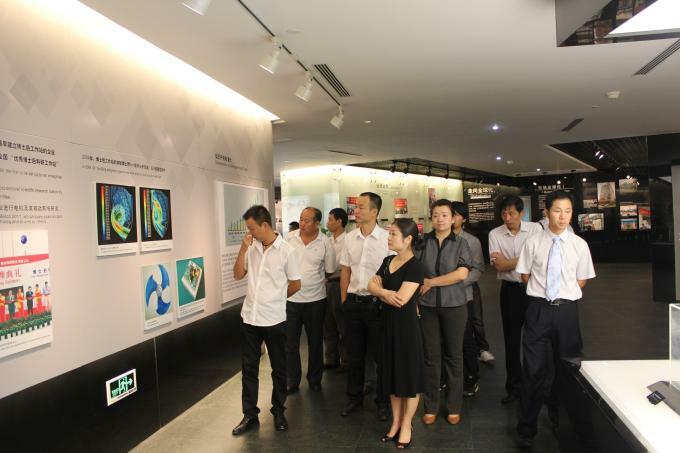 Unique Cables was identified as the high-tech industry by Wuhan Science and Technology Bureau, and honored as Observing Contracts and Keeping Promise Enterprise by the Trade and Industry Bureau of Wuhan every year. 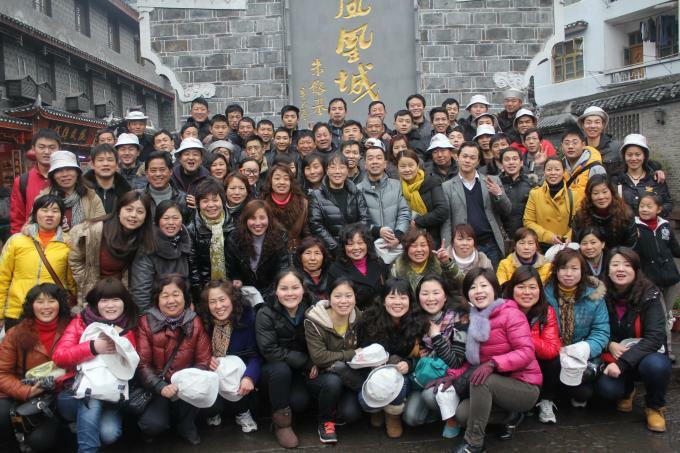 Our company is AAA Reputation Grade Company of Hubei Province and get prizes such as the "Top Ten Enterprises". 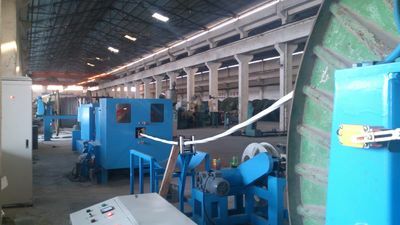 Our company was listed on Introduced Enterprise for remolding two power nets by the State Economic Trade Association and Hubei Provincial Economic Trade Association in 1999. Unique Cables is a global supplier of power, data, control and instrumentation cables and cable accessories. We deliver complete cable solutions to some of the world's most demanding industries including rail, infrastructure, Commercial Biuldings, automation, oil & gas, and mining, in over 30 countries. We provide full end to end technical support and solutions to Power and Construction Projects. 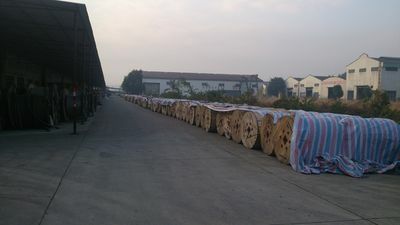 Thanks to our international distribution system,for most of the cooperated customers,we provide DDU(Delivered Duty Unpaid) and DDP(Delivered Duty Paid) Door to Door import service in order to make our customer more and more confort in buying Unique "Cables".